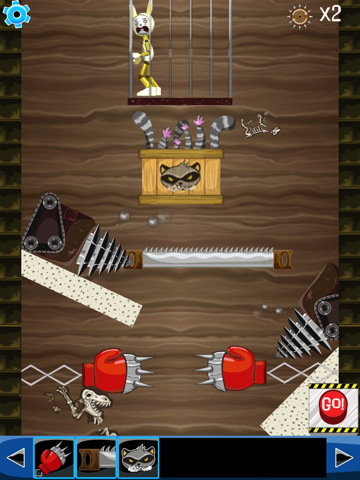 The title alone is enough to make Torture Bunny one of the more polarizing Chillingo releases of late, but for those suddenly questioning the morals of Apple’s app store policy, this is more of a rag doll physics game than a practice in animal torture. For some the slight difference is unjustifiable, but for those willing to torture a bunny at the depths of a dungeon, Torture Bunny could account for hours of trap building and physics engine tumbling. The game starts with a bunny quivering in a cage at the top of a dungeon. As the torturer it’s your responsibility to see the bunny to his death. This means you have to build contraptions that allow you to poke and prick at him enough times so that you have enough torture points on landing. 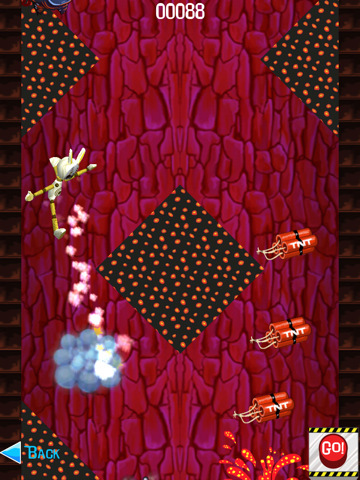 As a result, the real art of Torture Bunny is in its Ragdoll Blaster style physics engine. 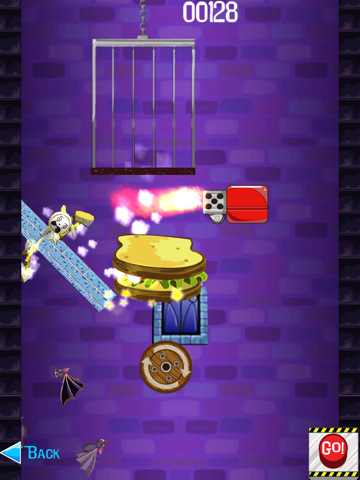 In challenge mode (where you have to beat multiple levels across five dungeon worlds) only a certain number of torture tools can be added to the dungeon, but as long as you’ve unlocked enough torture tools through points, arcade mode lets players build traps to their hearts content. One of the game’s brighter/darker points is the fact that you can replace the bunny’s face with the face from any image saved to your iDevice. Overall the building side of Torture Bunny is compelling, but the songs on loop and the morose effects aren’t for everyone. 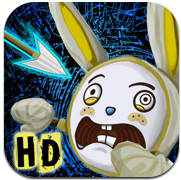 All said and done this game isn’t as fun as Ragdoll Blaster (and somehow it feels crueler), but for those interested in the concept Torture Bunny might be worth a download. 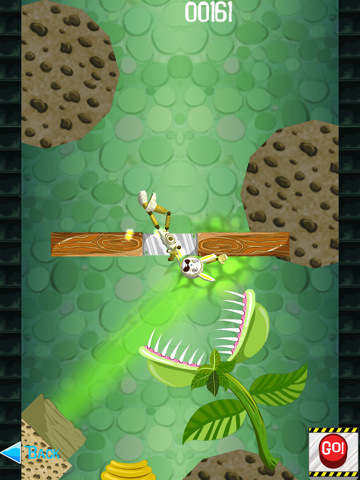 Bottom Line: The nature of Torture Bunny is ghoulishly unacceptable for some, but those who can look past the torture aspect, this ragdoll physics title can get addictive.